I am taking the holiday off. Spending time with children and grand children. 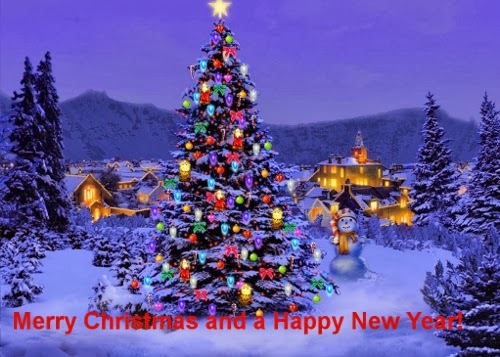 I want to wish everyone a very Merry Christmas and a Happy New Year. I will see you in January! In just a few days, Christmas will be here. It is hard to believe, but true. Are you a movie goer? I was just reading that Christmas Day has become a big day in the movie industry. 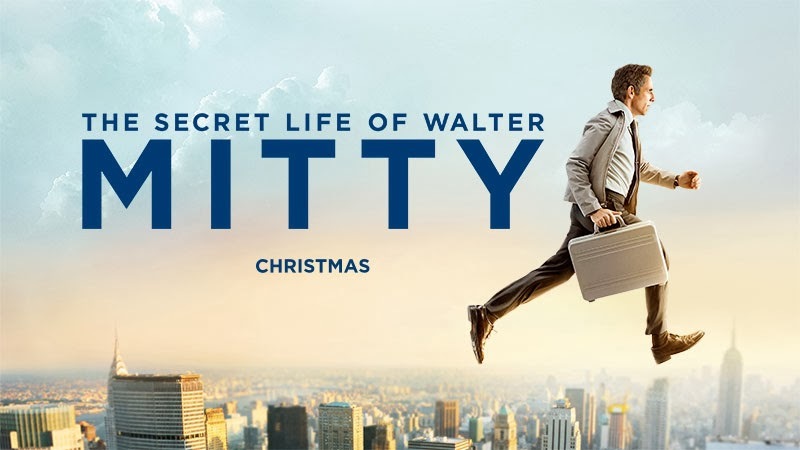 Many studios like to release big-budget films on December 25th. According to Box Office Mojo, an online movie publication and box office reporting service, no film has fared better on Christmas Day than "Sherlock Holmes," which premiered on December 25, 2009, earning just under $25 million in its initial day onscreen. With school ending for the holidays, you might need a great craft for the kids to do. Why not make a Candy Cane Wreath. My neighbor's daughter loves to come to my house. She said I was "the world's best crafter"! Kids are so naive!! We always do some sort of craft when she and her friends come over. On Saturday, they were coming over to work on Christmas presents for their moms. She brought me this candy cane wreath that she had made. She is nine. What a lovely surprise. 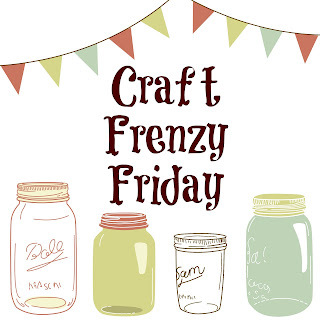 Craft Frenzy Friday is live and I am so excited to be one of the co-host. Join Cara and all of the other hosts and co-hosts and show off what you have been working on this week. 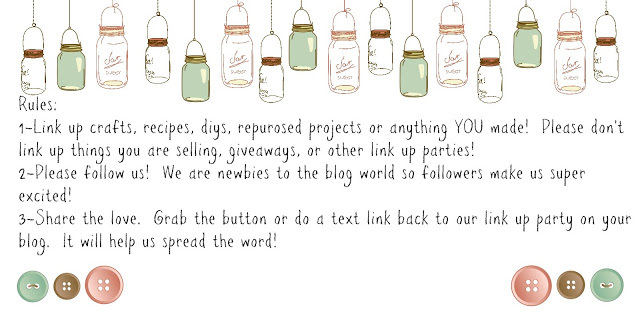 We look forward to seeing all of your creations, recipes, diy or anything you made. Come join the fun and check out last weeks features! We want to thank all of our Craft Frenzy Friday participants last week and welcome you back this week! Please be sure to like your host on all social media you want! We appreciate the love! Also, just a reminder we pin all the features on two Craft Frenzy Friday Pinterest Boards so you will get twice the love! And our two co-host this week! If you are interested in co-hosting email Cara at craftdictator@gmail.com! Now on to our wonderful features! All the features are picked by the host and co-host of the week! Be Sure to Grab a featured button here!! Also, go grab a Craft Frenzy Friday Button here! We'd love to see them on your page! It seems that so many of us just love mason jars, myself included. They are so great to decorate with. I have many from my Grandmother which I try to keep separate. About 5 years ago when I lived in Pittsburgh, I drove to Vermont to visit my grand kids in the summer. That year I went to a garage sale late one afternoon. They still had many items to sell and I think they were getting tired. There were three boxes of mason jars. Needless to say, I was on them immediately. She had them priced at $5 per box. I am not sure how many were in each box - somewhere between 10 - 14 each. Some were large, but most of them were the small ones and all had their lids, like the ones in my picture below. She saw me looking at them and said, "you can have all of them for $5". I tried not to fall over and grabbed them up before anyone else did. Since there was only one other person there, I was pretty safe. I was trying to decide what type of wreath to make for on the deck, hanging from the old window. I wanted to use materials that I already had so I looked through my stash. I had made a "burlap tied knot " banner for the 4th of July, if you missed that tutorial, you can find it here. So I thought I would try the same technique but only put them on a straw wreath instead of a banner. Don't get enough green vegetables? Have you ever wondered what to do with kale? Kale is a nutritional powerhouse. One cup of chopped kale contains 33 calories and 9% of the daily value of calcium, 206% of vitamin A, 134% of vitamin C, and a whopping 684% of vitamin K. It is also a good source of minerals copper, potassium, iron, manganese, and phosphorus. Wow, move over spinach! This turkey burger and kale chips makes a super healthy meal with great taste.